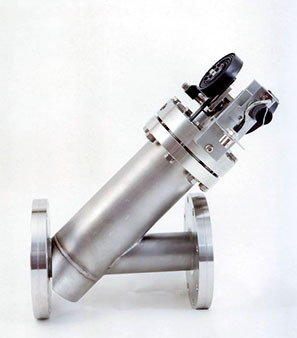 Vacuum Valves - National Electrostatics Corp.
NEC vacuum valves are used for a variety of reasons. 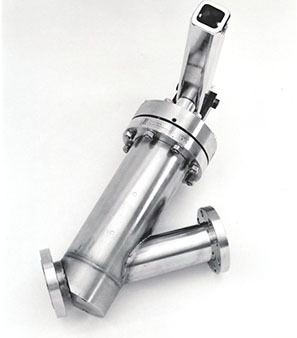 Our valves are ultra-high vacuum compatible and allow rapid and reliable closure. NEC valves employ a toggle mechanism that provides constant seal forces until an external adjustment is necessary. 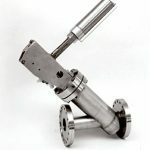 Whether actuated by hand, air or other remote method, the unique NEC toggle mechanism provides a sealing force independent of operator or facility variations. Longer seat life is the natural result. The NEC gas metering valve is ideally suited for applications requiring the fine control of gas flow into a vacuum where corrosive gases are used or ultra-clean conditions are a requirement. 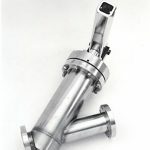 The stainless steel valve is fully ambient pressure isolated, which is ideal for operation in environments that vary from high vacuum to high pressure. The NEC metering valve regulates the flow of gas from vacuum tight shut-off rates exceeding 100atm-cc/hr. Input pressures can be as high as 2000 psi. 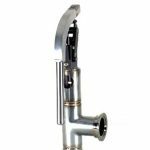 The valve mechanism consists of a slightly curved flexure strip, which axially loads a soft gold seat into a stainless steel knife edge. As a transverse load is applied to the strip, it tends to straighten, thereby applying a sealing force. The sensitivity is controlled by the extent the flexure has been straightened upon contact with the knife edge. This extent is adjustable by means of a manual adjustment screw. The flow rate is controlled by a differential screw that provides the transverse load to the flexure strip. Our standard metering valve is available in manual (VM9AM) and remote controlled (VM9AR) configurations. Various fitting and flange options are available, as well as various motor options for the remote controlled valve. The NEC right angle valve is ideal for application that require ultra-high vacuum compatibility and rapid closure. This ultra-high vacuum valve utilizes a short stroke toggle mechanism, which allows a single quick motion for closure. This is a distinct advantage over the standard screw type sealing mechanisms. The sealing mechanism is a replaceable aluminum disc that is pressed against a stainless steel knife edge by the toggle mechanism, which assures repeatable vacuum tight seals to better than 10-9 atm-cc/sec. 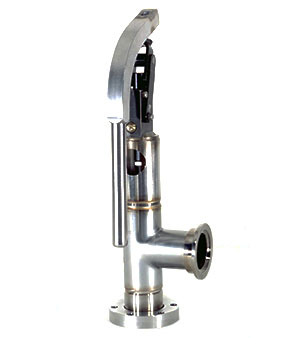 Our standard 1.5″ straight through valve is available in manual (VR1.5M) and pneumatic (VR1.5P) configurations. 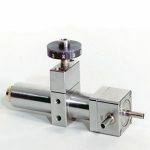 The toggle mechanism of the VS1.5P is actuated by a pneumatic cylinder that closes the valve to a vacuum tight condition in about 0.2 seconds. 3″ and 5″ models are also available. The NEC straight through valve is ideal for applications that require ultra-high vacuum compatibility and rapid reliable closure with optical straight-through clearance. 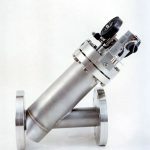 The fast acting model is ideal for applications that require an emergency closure in case of catastrophic failure of an ultra-high vacuum system. These valves utilize the same short stroke toggle mechanism and replaceable aluminum disc sealing mechanism as the right angle valves, with repeatable vacuum tight seals to better than 10-12 std. liters/sec. Adjustment of pressure applied to the aluminum disc can be made without breaking vacuum. Approximately 50 closures can be made before adjustment is necessary, and several hundred closures before replacement of the disc is indicated. Our standard straight through valve is available in manual (VS2M), pneumatic (VS2P), and fast acting (VS2F) configurations. 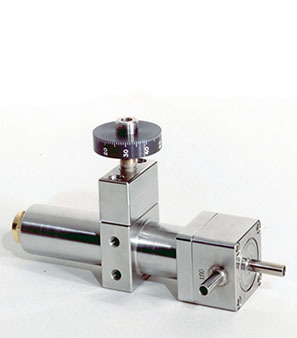 Like VR1.5P, the VS2P features a toggle mechanism actuated via pneumatic cylinder that closes the valve to a vacuum tight condition in about 0.2 seconds. 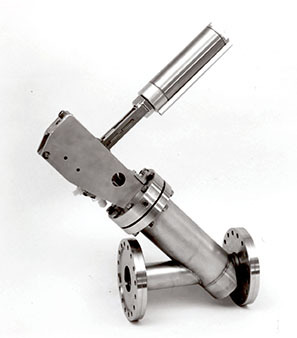 The VS2F uses a unique spring closure to actuate the toggle mechanism, providing reliable closures in less than 35 milliseconds after the trigger signal is received from a coaxial pressure sensor. The VS2F can be operated in manual mode as well as fast acting mode. Please contact NEC for more information about any of our vacuum valves.